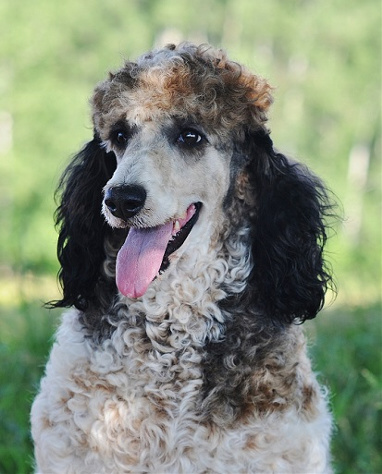 Diva may be petite and delicate in stature for a Standard Poodle, but she has a huge personality. She seems fully aware of her considerable assets—brains, beauty and a bubbly nature. 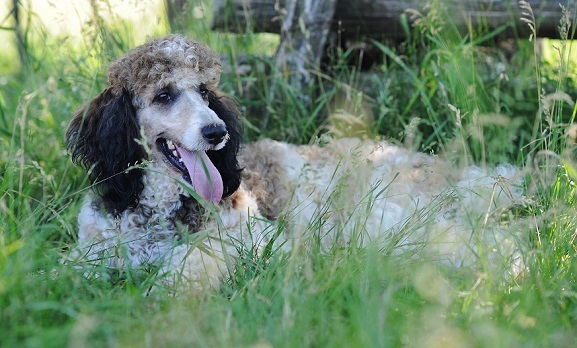 A highly social girl, she makes it her job to entice the other dogs to play. 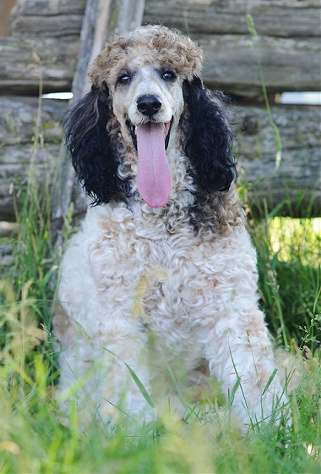 She generally succeeds, because she is the goofiest of all the poodles. But if one dog happens to decline her overtures, she just moves on to the next. Nothing gets Diva down for long. She’s resilient, sweet, and gentle. 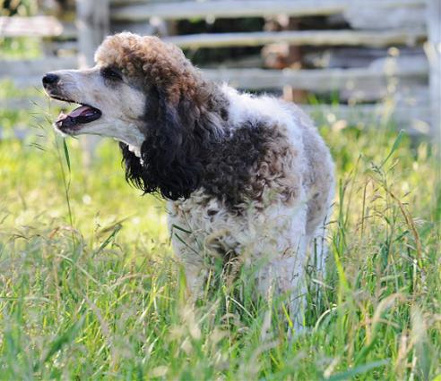 Diva is extremely loyal and loving, and has a strong desire to please. 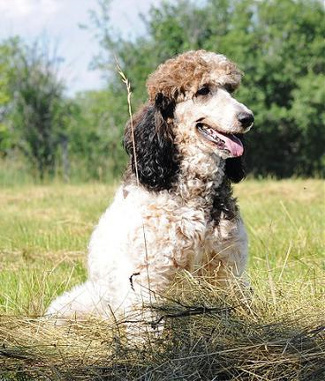 Most Poodles are intelligent and trainable, but Diva seems to be especially gifted. When I talk to her, she focuses hard, tilting her head and nuzzling me, as if to absorb all possible information. It’s like she is trying to read my mind! 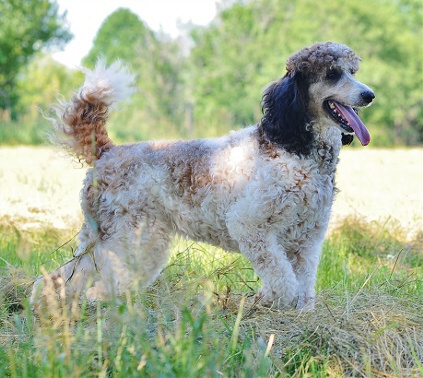 All in all, she is a beautiful, social, playful and bright dog—the perfect Poodle I search so hard to find.